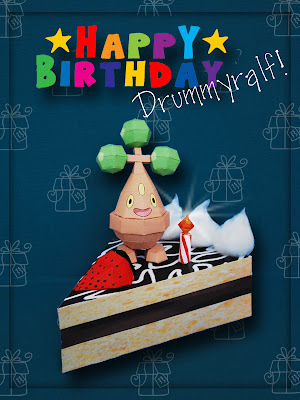 Paperpokés - Pokémon Papercraft: Happy Birthday, Ralf! Bonsly and Cake designed by PMF. Template and Build by Paperbuff. Thanks to Lyrin for her special help. Oh, Nice Bonsly. I want to make him. Happy Birthday. So tell me, when's this Bonsly available in the site to make one by myself and turn into a Bonsly Tree for Christmas? Hey, just wondering if u could make a full size... Thanx!